Welcome to Tuut Tuut! Who are We? Hell yeah! Tuut Tuut rental knows exactly how to have a good time! 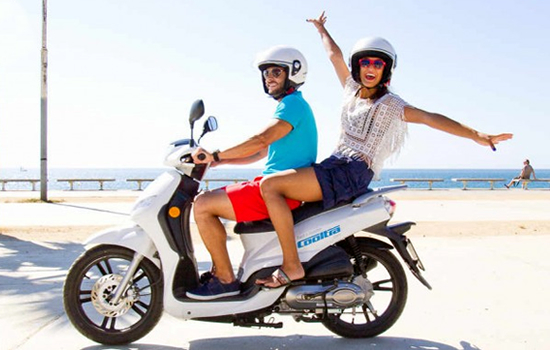 Come on over, hop on one of our cool bikes and go explore the amazing dunes, fall in love with the Dutch shoreline. Complete your trip with our picnic box put together by our local caterer. Add some extra fun to your day and play with our Jeux de boules set. Out with a large group? Click here for more fun things to do. 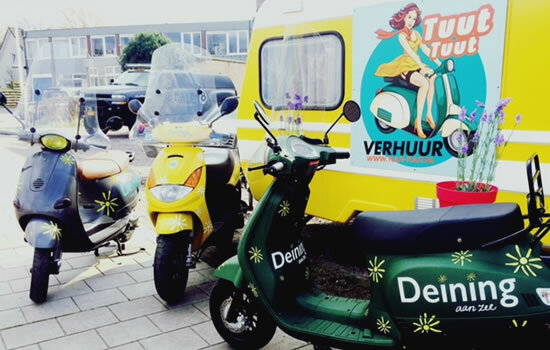 During the summer I regularly rent a scooter at Tuut Tuut. Because they are located next to the trainstation, I get out of the train, jump right on the scooter and drive towards the beach. I would recommend Tuut Tuut to everyone! When I want to cycle through nature I rent a bike at Tuut Tuut. Because of their location at the edge of the woods, I ride the forest to enjoy nature. They are very customer-friendly and flexible.